The Ruelco VF-1 is a vent cap designed to relieve pressure due to entrapped gases in a hydraulic reservoir through a spring loaded cover. Under normal conditions, the cover prevents rain, dust, or other contaminants from entering into the hydraulic reservoir. 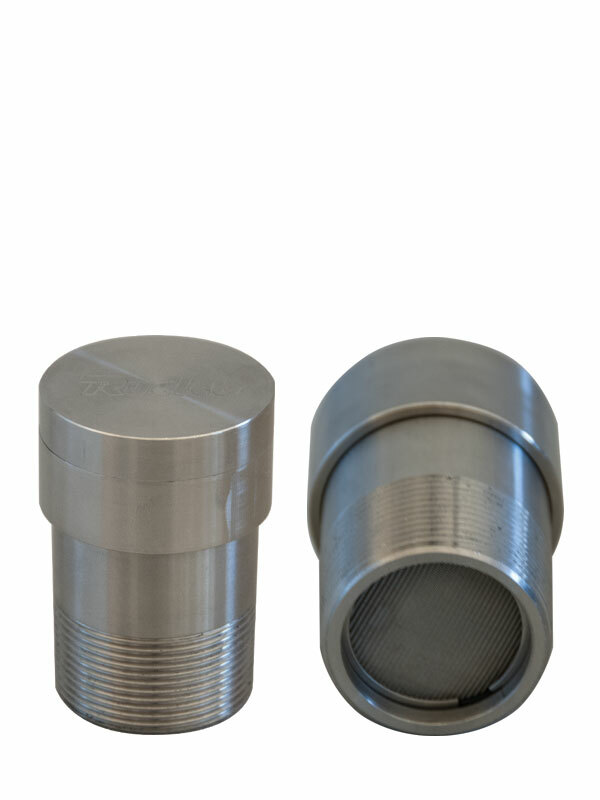 The micron filter option also prevents oil contaminants from entering the system during filling or maintenance. Standard filter options are 80 micron and 200 micron. Please contact the factory for other options.